While we English-speaking folk call it the Frankfurt Motor Show, our German friends call this week's bi-annual confab the Internationale Automobil-Ausstellung, or IAA. 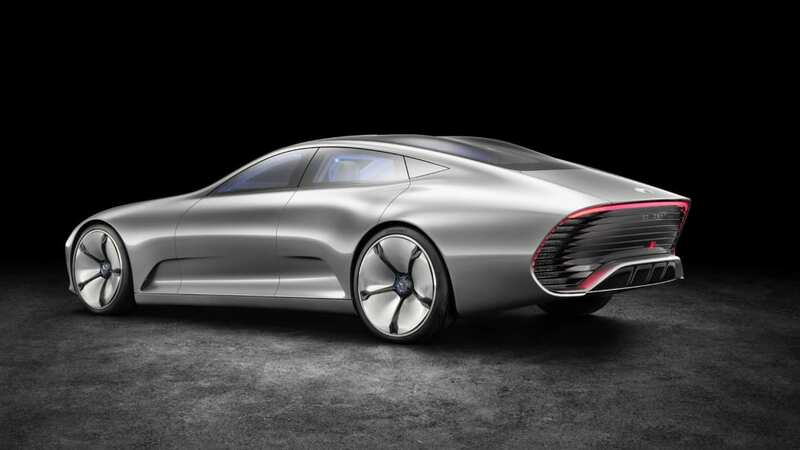 At first glance, then, you might think Mercedes-Benz named its Frankfurt concept, the Concept IAA, after the show it'd debut at. But, the Concept IAA isn't named for the show. It's actually an abbreviation for Intelligent Aerodynamic Automobile, and it's very aerodynamic indeed. This four-door coupe can transform, while moving, from its sedan-like design mode to an ultra-sleek, gas-powered fish of a car. This aerodynamic mode has a drag coefficent of just 0.19. That's sleeker than a Tesla Model S, and it ties the rating of the General Motors EV1 electric car. In fact, it's very nearly as aerodynamic as the Volkswagen XL1. 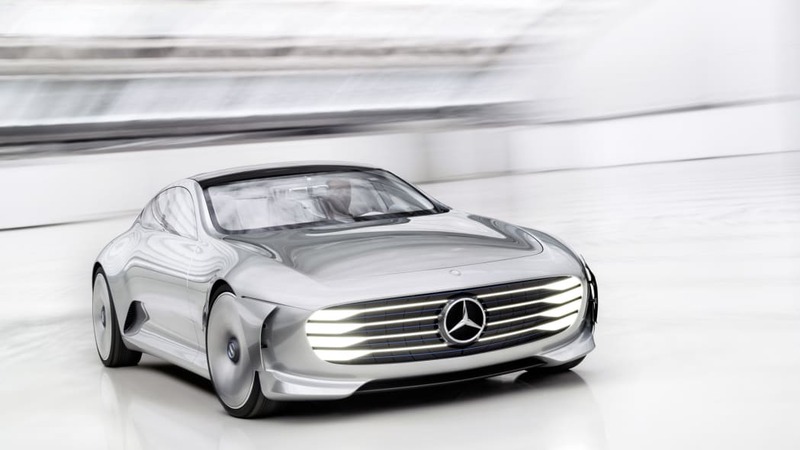 The IAA can transform automatically at 80 kilometers per hour (about 50 miles per hour) or via the press of a button. When it enters an aerodynamic mode, eight segments at the back of the car extend out, adding over 15 inches to the overall vehicle length, effectively extending its already tear-dropped-shaped tail. And that's just the most visible aero aid. At the front of the car, flaps in the bumper extend out nearly an inch, while there's a smaller extender in the back bumper. These serve to keep air away from the wheel arches, where turbulence can become an issue. Of course, Mercedes has thought of this, too, fitting "Active Rims" that "alter their cupping from 55 mm to zero," whatever that means. There's even an active aero aid inside the front bumper, where a louver extends backward by 2.3 inches to smooth out the air traveling underneath the car. Outside of its super-slippery mode, the IAA is a relatively handsome four-door coupe, featuring the kind of plunging roofline that wouldn't look out of place on the company's pioneering CLS-Class. The interior is certainly worthy of the CLS, too. It's home to gorgeous white leather and touch-based controls, and in general, looks very luxurious. 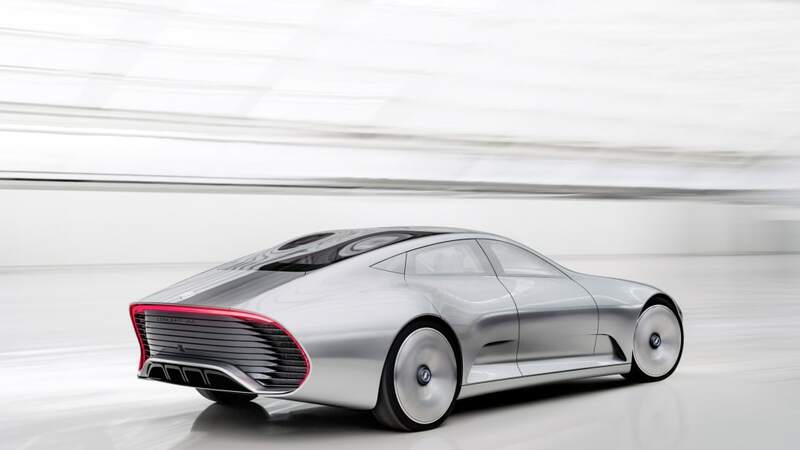 Mercedes' dogged pursuit of aerodynamics does not mean that the Concept IAA is some gutless ecomobile. Under the skin is a gas-powered, plug-in hybrid system that produces up to 279 horsepower and allows the sleek sedan to hit 155 mph. Its all-electric range is based, of course, on what mode its body is in. It's most impressive in aero mode, where it will cover 41 miles on a single charge. Switch over to design mode, and that figure drops slightly to 38.5 miles. Check out the official gallery up top and the full press release down below. And of course, stand by for much more on the Concept IAA as our Frankfurt Motor Show coverage continues. 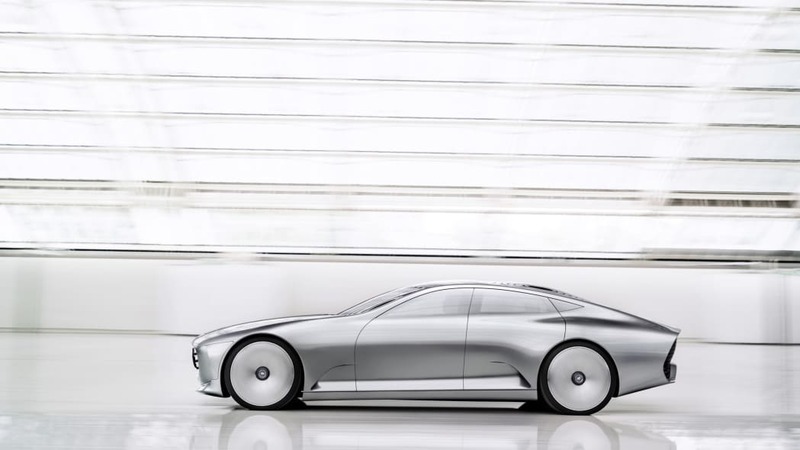 The Mercedes-Benz "Concept IAA" (Intelligent Aerodynamic Automobile) is two cars in one: an aerodynamics world champion with a Cd value of 0.19 and a four-door coupé embodying irresistible design. The study, which is celebrating its world premiere at the Frankfurt International Motor Show, switches automatically from design mode to aerodynamic mode when the vehicle reaches a speed of 80 km/h, whereby numerous aerodynamics measures alter the shape of the vehicle. 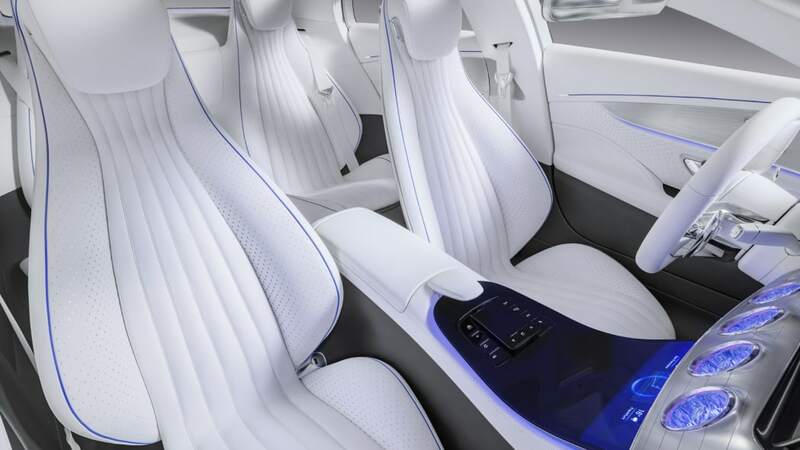 Inside, the "Concept IAA" continues the design line of the S-Class and S-Class Coupé, offers new touch-based functions and provides an idea of what the interior of a business saloon might look like in the near future. At the touch of a button, or automatically on reaching a speed of 80 km/h, the Mercedes-Benz "Concept IAA" (Intelligent Aerodynamic Automobile) performs a fascinating transformation in which the captivatingly beautiful four-door coupé turns into an aerodynamics world champion: eight segments extend at the rear, increasing its length by up to 390 millimetres; front flaps in the front bumper extend by 25 mm to the front and 20 mm to the rear, improving the air flow around the front end and the front wheel arches; the Active Rims alter their cupping from 55 mm to zero; and the louvre in the front bumper moves 60 mm to the rear, improving the underbody air flow. 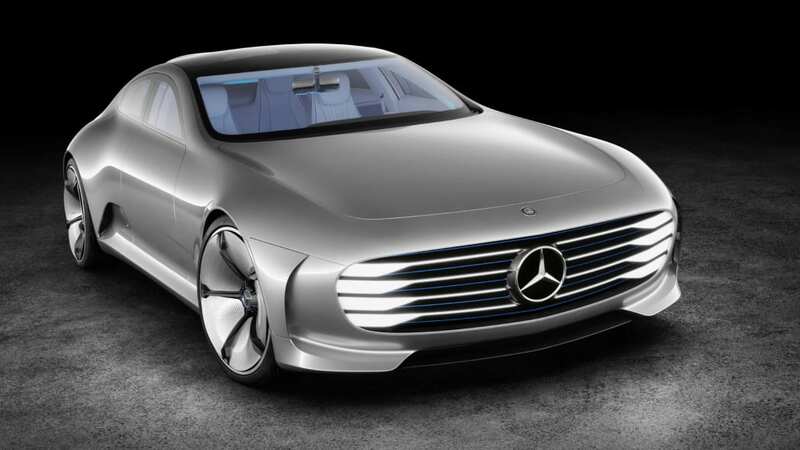 "Fascinating and technically sophisticated cars form the core of Mercedes-Benz. 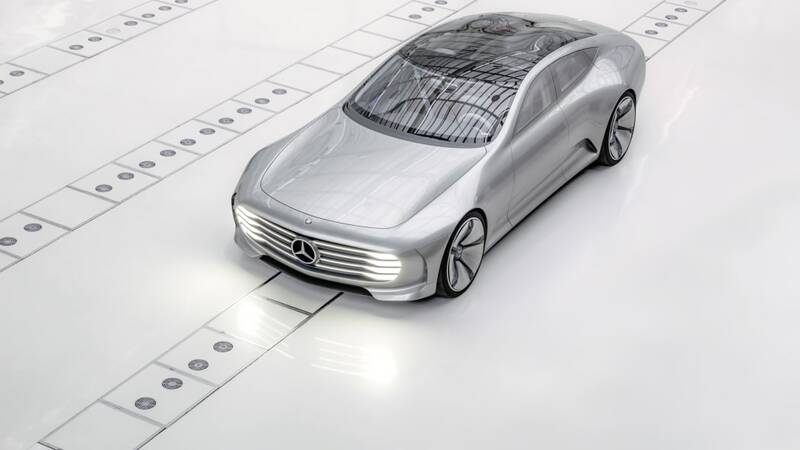 The 'Concept IAA' applies intelligent innovations to resolve the conflicting aims of functionality and aesthetics and shows that we still have plenty of ideas on how to achieve further improvements in efficiency," says Prof. Dr Thomas Weber, Member of the Daimler Board of Management responsible for Group Research and Head of Mercedes-Benz Cars Development. Equally, the "Concept IAA" exemplifies the fundamental technological changes which are taking place in the automobile industry. The primary driving force behind this process of change is digitisation – commonly referred to in a business context as "Industry 4.0". For Mercedes-Benz, a continuous digital process chain from research and development through production to marketing and sales, logistics and the service area is already becoming reality. The design and aerodynamic shaping of the "Concept IAA" would not have been possible without the systematic digital networking of different specialist departments. The designers have employed the latest algorithmic design methods to handle the complex geometric design. The individually adapted software enables dynamic design in three-dimensional space. This dynamic modelling makes it possible to display and model different states simultaneously. The resultant highly complex geometries were turned into reality with the aid of innovative production technologies (rapid prototyping). The "Concept IAA" also offers a look into the future in areas which are not apparent at first glance. The study features Car-to-X technology, for example, which enables the study to communicate with other vehicles or other sources of information. This represents a major advance in helping to avoid accidents, as obstacles or events which are not visible to the vehicle itself can be detected - the "Concept IAA" is able to look around the corner, as it were. 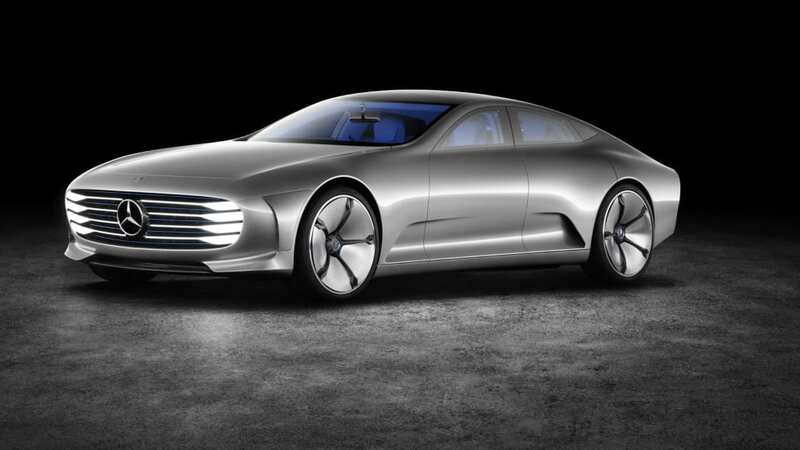 With this and its interior and operating concept, the "Concept IAA" also offers a foretaste of the business saloon of the near future. With its dynamic basic shape ("drop shape"), elegantly purist overall design and aerodynamic innovations, the four-door "Concept IAA" Coupé Saloon is a symbiosis of design and aerodynamics. The vehicle interprets classic sports car proportions in a modern vein: the long bonnet flows aerodynamically into the compact, set-back greenhouse, whose roof slopes down elegantly towards the rear, ending in an airflow break-away edge. The vehicle's elegant side view combines a purist, long basic volume with highly pronounced wheel arches. 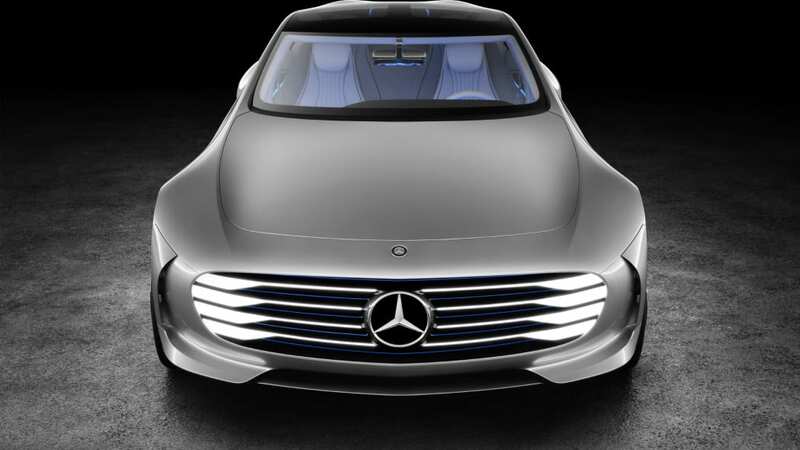 The sporty, minimalist front of the show car boasts a striking "shark nose" profile. Like the front, the show car's rear end also presents a clear-cut and purist appearance. As on the front grille, horizontal louvres lend structure to the shape of the rear end. An illuminated ring running around the rear end adds the finishing touch to the high-tech appearance. 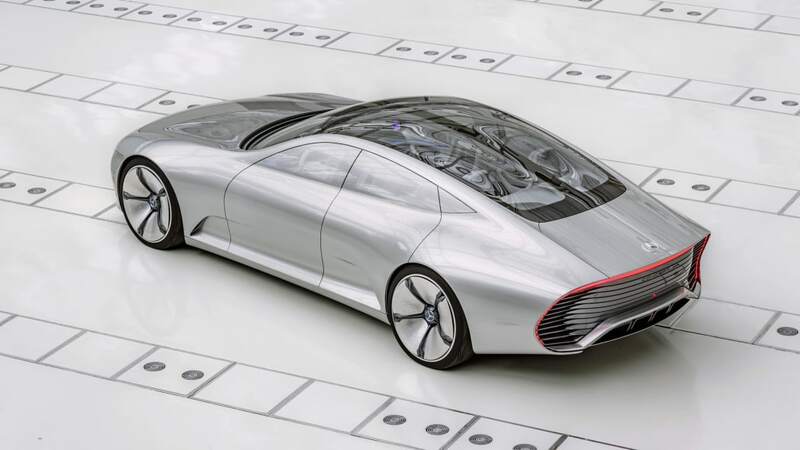 "The 'Concept IAA' continues our series of visionary concept cars," explains Gorden Wagener, Head of Design at Daimler AG. "The symbiosis of alluring forms showcasing intelligent aerodynamics is an expression of our unique Mercedes-Benz design philosophy." 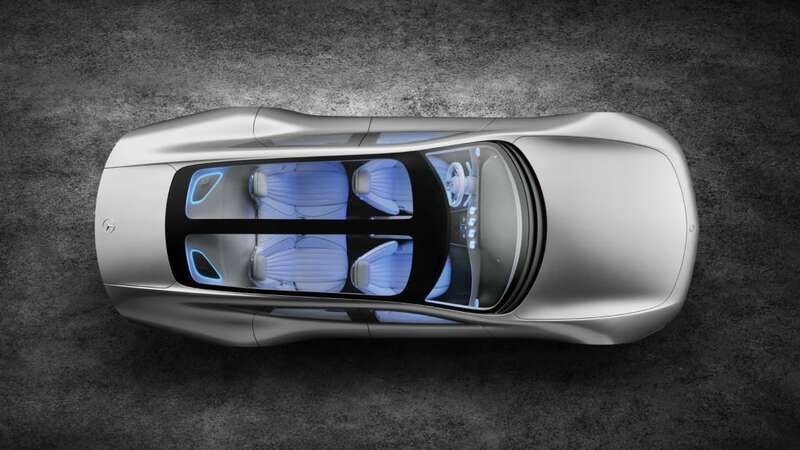 The interior of the "Concept IAA" combines stylish sportiness with modern luxury. The interior continues the design line of the S-Class and S-Class Coupé while providing an idea of what the interior of a business saloon might look like in the near future. The choice of colours and materials conjures up extrovert contrasts between anthracite and white as well as between aluminium and cut glass. Elegantly curved forms, flowing lines, carefully chosen high-quality materials and the touch-based operating philosophy provide for a high level of functionality. The two-spoke steering wheel is a progressive further development of the Mercedes-Benz steering wheel philosophy. The open structure of its horizontal spokes is highly intricate in design, as a manifestation of intelligent and elegant lightweight construction. The steering wheel also incorporates touch-based operating functions, offering great functionality in the most compact dimensions as a study in perfect ergonomics: OFN (Optical Finger Navigation) buttons, embedded in the clusters in a similar hovering manner as the touchpad in the centre console, enable the driver to scroll through the instrument cluster menus. The OFN button on the left controls the left-hand display, while the button on the right controls the right-hand display. In this way, the "hands on the wheel, eyes on the road" operating philosophy which has been applied by Mercedes-Benz for many years now is implemented in a manner which is at once brilliantly simple and uncompromising. "Captivatingly sporty lines, fascinating technical solutions: the 'Concept IAA' symbolises the emotional core of Mercedes-Benz: The best or nothing. 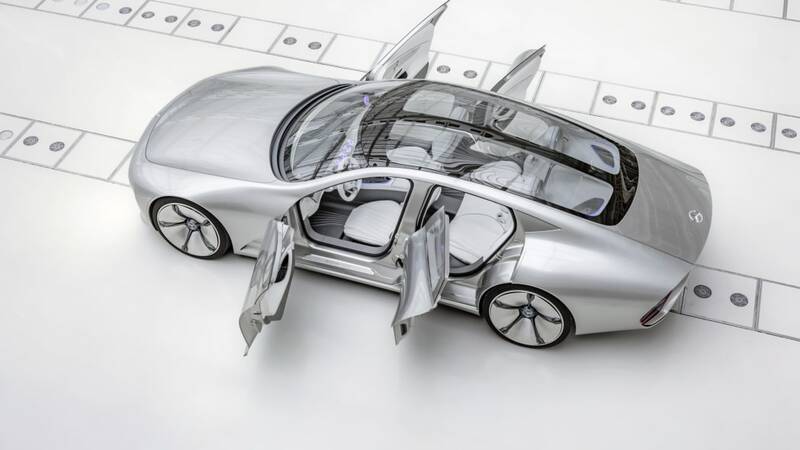 And it shows in a host of details what our customers can look forward to in future production models," says Ola Källenius, Member of the Board of Management of Daimler AG, Mercedes-Benz Cars Marketing & Sales, summing up the visionary concept. 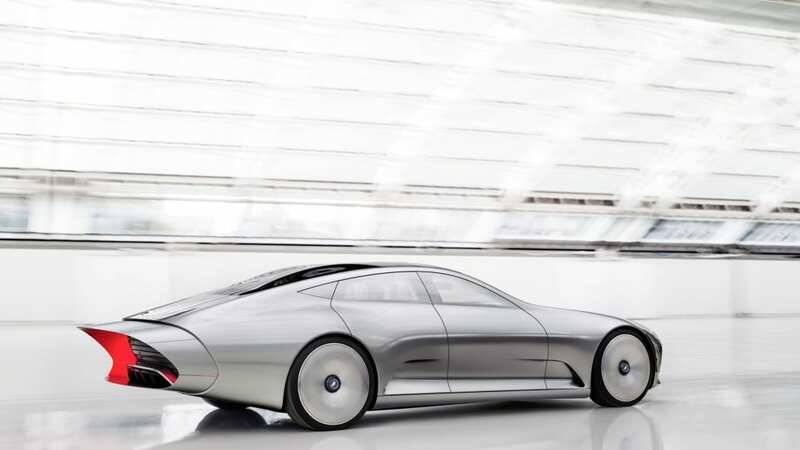 The "Concept IAA" is 5040 millimetres long (5430 mm in aerodynamic mode), 1995 mm wide and 1305 mm high. Its wheelbase measures 2975 mm, and the front/rear track widths are 1710 and 1770 mm respectively. 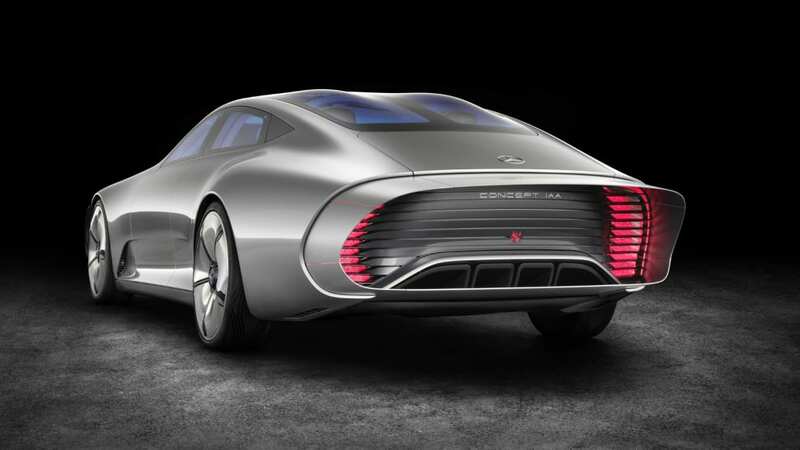 The concept car is powered by a petrol/electric plug-in hybrid drive with a total output of 205 kW (279 hp). This provides it with a top speed of 250 km/h (electronically limited). CO2 emissions and electric range depend on the mode in which the vehicle is tested: in aerodynamic mode the "Concept IAA" manages an all-electric range of 66 kilometres and emits 28 g CO2 per km. In design mode the range stands at 62 km and CO2 emissions at 31 g per km. As urban driving is accorded a two-thirds weighting in the current New European Driving Cycle (NEDC), the advantage of aerodynamic mode is not revealed as clearly in this test as in real-life driving. Real-life fuel savings are all the greater, however – in keeping with Mercedes-Benz's customer-oriented "Real Life Efficiency" philosophy. 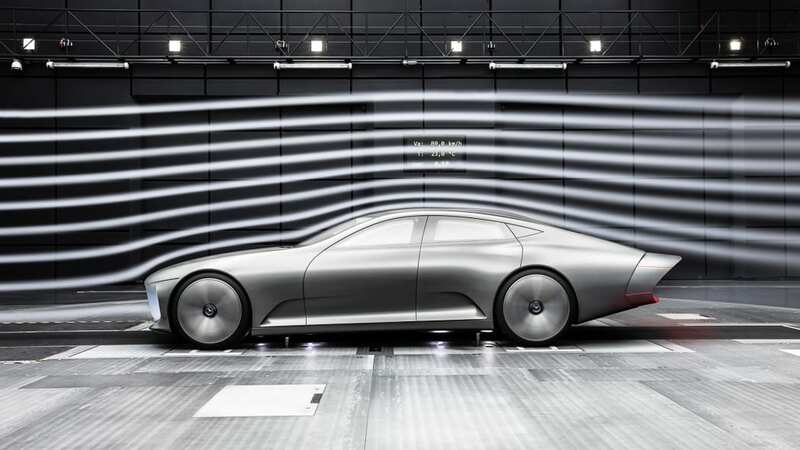 The "Concept IAA" show car forms part of a long line of aerodynamically perfected vehicles from Mercedes-Benz. With a dimensional concept that makes it suitable for everyday use, this four-seater attains a Cd value of 0.19, assuring it of a place in the gallery of record-breaking and racing vehicles such as the Mercedes-Benz W 25 record-breaker of the 1936 season.